In 2008, Kaizz Ventures published "Hindi Ko Ito Narating Mag-isa," Dolphy's tell-all book (as told to the writer Bibeth Orteza). With the demise of Dolphy, anything related to him has seen renewed popularity including this book. A good friend of mine was kind enough to lent me a softbound edition for weekend reading. I hope that in the future the price of the hardbound edition will decrease, so can I avail of my own copy. In the book's opening pages, Dolphy dedicated the book to those who followed his career, and to those he made cry and laugh. Aside from asking forgiveness from people he had hurt, Dolphy also forgives people who have offended him. The book increased my adoration for the undisputed King of Philippine Comedy. 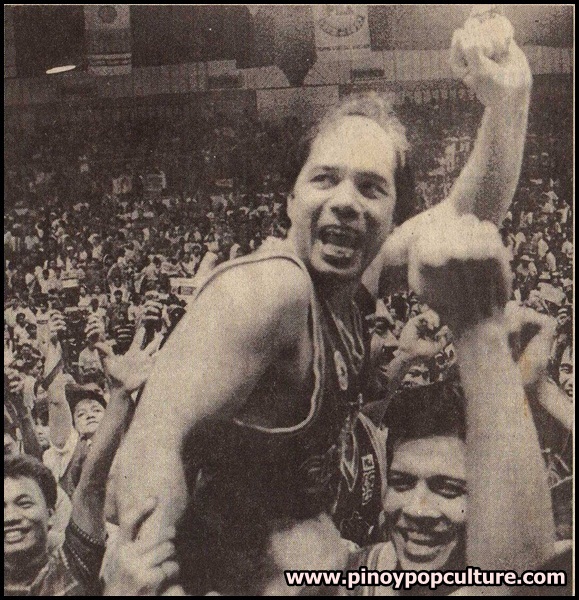 Like every other common Filipino, he had a considerable share of joys and sorrows. As he laughed in times of happiness and cried in times of despair, Dolphy shrugged off worries brought by problems and faced them full of courage and dignity. Office workers in the Philippines await lunch time during their daily routine. Aside from the opportunity to rest from the onerous work load and relax with friends, lunch time affords the chance to taste sumptuous meals. When it comes to food, I bring packed lunch most of the time. One day I craved for soup so I went outside and bought some pares. Also the Tagalog word for 'pair,' pares is a hearty soup that includes bite-size pieces of beef (meat and "sinful" fat) flavored with a spices including ginger and sibot (a mixture of spices including star anise, cloves, and cinnamon). The customer can freely put scallions, chopped chili, toasted garlic, soy sauce, and other condiments to suit his or her taste. Realizing that I brought packed lunch that day, I opted only for the soup part of the pares. Home Along Da Riles is the first movie version of the ABS-CBN sitcom. 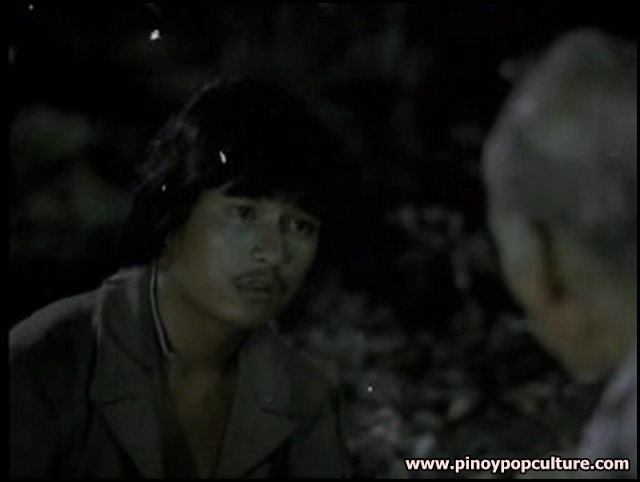 Dolphy plays the role of Kevin Kosme, a widower who makes ends meet for his children. Released in August 1993, the movie was co-produced by Dolphy's RVQ Productions and Star Cinema under the direction of Johnny Manahan. Tagaytay City is known not just for its cool weather and tourist spots, but also for its claim of selling the tastiest bulalo, or beef shank, soup. Earlier today, my friends and I visited the Mahogany Market, which is located beside a meat market. With this in mind, we would be guaranteed to be offered soup made of the freshest ingredients. Among the many in the market we chose Niezel's Eatery, which boasts of offering "Special Bulalo and Kambing (goat meat)." The Philippines has lots of natural wonders to offer, from the summits of the mountains to the deepest recesses of the bodies of water. I will be sharing with you some pictures of a creek at the foot of Mount Talamitam in Nasugbu, Batangas. Rodolfo Vera Quizon, Sr., better known as Dolphy, passed away at 8:34 p.m. on July 10, 2012, fifteen days before what would have been his eighty-fourth birthday. Dubbed as the King of Philippine Comedy, Dolphy left behind a legacy of giving smiles and laughter to Filipinos of all walks of life for more than six decades. As an icon of Philippine culture, his unequaled talent was highlighted in theatre, radio, television, and film. His remains were brought the next day to the Dolphy Theater within the compound of the television network ABS-CBN for public viewing. This also provided an opportunity for the public to pay their final tribute to the late Comedy King. It can be recalled that in 1965, Dolphy launched his television career with the network through the program Buhay Artista. During the 1990s onwards, he starred in the sitcoms Home Along da Riles, Quizon Avenue and John en Shirley for the network. I will be sharing with you pictures relating to the situation outside the Dolphy Theater before the public viewing of Dolphy's remains started. The legendary No. 7 jersey of Philippine cage icon Robert Jaworski will be retired today in a ceremony at the Smart Araneta Coliseum in Quezon City. Tonight, the Malolos Sports & Convention Center will witness a star-studded event: the Big Night of the ABS-CBN reality program Pinoy Big Brother: Teen Edition 4.